Be entertained by a gorgeous blend of graphics and sounds, with delightful characters and story elements. Look forward to the new Jackpots and windfall bonus games and compete with players from all over the world! Feeling lucky? Let’s Hit the 5 together!BONUS, BONUS and did someone say BONUS?★ Get lots of free coin by simply logging in – Hourly, Daily, and Weekly bonuses★ Like your friend’s victory and receive more bonus by each minute!★ Play and track your status, and receive rewards for achieving milestones!★ Double, triple and further your wins with 777 strikes, Super, Mega and Epic bonuses★ Get over 50 free spins in the mini games and score bonuses without spending a coin!★ Collect Wilds, Scatters, Stacked Symbols, Multipliers and Mystery Boxes to further increase your bet, and score BIG WINS and JACKPOTS!★ Level up to increase your BONUS, and become our VIP for exclusive promotions, sales and FREEBIES! ★ Join our Facebook page and participate in simple quizzes for FREE coins! 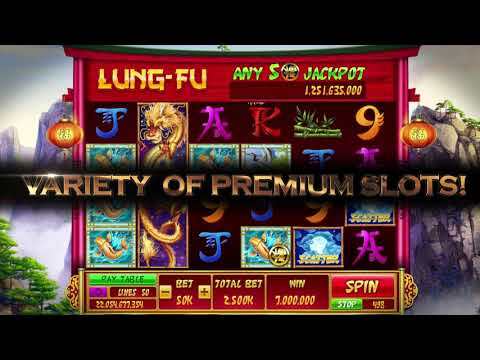 IRRESISTABLE SLOTS AND FASCINATING SOUND EFFECTS★ Every slot has their own unique style, design and gameplay. Try them all!★ Check out all the refreshing mini-games that enhance and multiply your winnings!★ Go Full-screen with our HD graphics and dazzling effects! Feel the Vegas in your hands!★ Turn on your sound system to enjoy the full experience with our trendy in-house music and sound effects!★ Tune in for seasonal wallpapers and style changes, and enjoy the mood-lightening music!SLOTS FOR YOU, AND YOUR FRIENDS!★ Conquer all the tournaments and dominate the slots!★ Add your friends, exchange gifts and complete objectives for more gems and coins!★ Expand your social circle and compete with players from all around the world!★ Check out your friends’ achievements – and beat them!★ Special support and personalized services all at your fingertips – just ask Christy!Hit the Five with us and join our fellow players on Facebook today!https://www.facebook.com/hitthefivemobile***********************************************************************Hit-the-Five Casino slots is intended for mature audiences 21 or older and is solely for entertainment purposes. We intend to provide a simulation of the actual Vegas casino gambling experience without risks of real money loss all in your own private space. That said, HTF does not involve real money gambling or an opportunity to win real money, and success at playing HTF also does not imply future success at actual casinos. – Numerous bug fixes and general performance improvementsThank you for playing Hit the 5! Casino! If you have a moment to leave a review in the Google Play we would really appreciate it. - Numerous bug fixes and general performance improvementsThank you for playing Hit the 5! Casino! If you have a moment to leave a review in the Google Play we would really appreciate it.